Royal Caribbean International is celebrating an addition to its spring and summer UK deployment - in May 2013 the 3,114-guest Adventure of the Seas will offer cruises from Southampton alongside the 3,634-guest Independence of the Seas, based in Southampton for its fifth season offering some amazing cruise holidays. Royal Caribbean International first based a ship in Southampton in 2005 with the 2,435-guest Legend of the Seas and this has since steadily increased with larger and larger ships calling the cruise city home. 2013 is the first year that two Royal Caribbean International cruise ships will be based from Southampton. In 2008 the world’s largest cruise ship at the time – Independence of the Seas – launched from Southampton and has remained based from the port during the spring and summer months of the year ever since. The addition of Adventure of the Seas to Royal Caribbean International’s UK deployment sees the cruise line offer more Mediterranean, Northern Europe, Iceland, Baltics and Canary Island cruises than ever before. When Adventure of the Seas arrives in Southampton on 24 May 2013 the ship will offer a series of seven, 12, 13, 14 and 16-night cruises. An early booking offer allowing savings of up to £500 per stateroom will apply to all Adventure of the Seas cruises booked before 31 May 2012 when the new deployment goes on sale on 20 March 2012.
parking in Southampton, free coach travel to UK departure ports, and low prices on regional flights to UK departure ports on all cruises booked of ten nights or more as part of the early booking deal. All prices quoted are based on the savings allowed by early booking offers. Price offers only apply for bookings made before 31 May 2012. Adventure of the Seas features an in-line skating track, an ice skating rink, a rock climbing wall, a street of shops and restaurants running through the center of the ship, extensive family facilities, and a host of restaurants from fine Italian dining to casual burger bars. On 2 May 2013 Independence of the Seas will arrive in Southampton following a dry dock enhancement and will offer a series of new itineraries including more shorter cruises such as two-night cruises le Havre for Paris and three night cruises to Le Havre for Paris and Zeebrugge for Bruges. Independence of the Seas will also offer eight night cruises to Norway, 14-night Norway and Cork cruises, various 14-night Mediterranean cruises, and 12 night Canary Islands cruises. 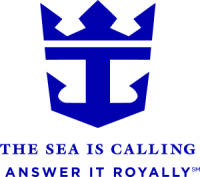 For more information on Royal Caribbean International, Adventure of the Seas and Independence of the Seas please visit Royal Caribbean, call 0844 493 2061, or talk to your travel agent. Travel professionals should visit cruisingpower.co.uk.